Patients who underwent the minimally invasive procedure had a 36%, 50%, and 44% improvement in IPSS, quality of life, and peak flow rate, respectively, at 5 years. Prostatic urethral lift (PUL) in men with bothersome lower urinary tract symptoms (LUTS) due to benign prostatic hyperplasia offers rapid improvement in symptoms and other outcomes durable out to 5 years, according to a new study. The finding is from a prospective, randomized, blinded trial comparing PUL with a sham control procedure. PUL involves permanent placement of UroLift implants that hold open the lateral lobes of the prostate to decrease urinary obstruction. The trial included 206 men aged 50 years or older with benign prostatic hyperplasia (BPH) and an International Prostate Symptom Score (IPSS) greater than 12, a peak flow rate (Qmax) of 12 mL/sec or less, and a prostate volume of 30–80 cc. IPSS improvement following PUL was 88% greater than that of the sham procedure at 3 months. LUTS and quality of life (QOL) were significantly improved by 2 weeks, with return to preoperative physical activity within 8.6 days, Claus G. Roehrborn, MD, of the University of Texas Southwestern Medical Center in Dallas, and colleagues reported in the Canadian Journal of Urology (2017;24:8802-8813). Improvement in IPSS, QOL, Qmax, and BPH Impact Index Qmax sustainable through 5 years, with improvements of 36%, 50%, 44%, and 52%, respectively. “As it is rare that any prospective study in BPH extends beyond 5 years, we believe this report demonstrates that PUL has reached maturity as a standard of care for BPH,” the investigators stated. Over the 5 years, 19 (13.6%) of the 140 PUL patients needed surgical retreatment because of failure to cure. Six patients received additional PUL implants and 13 underwent transurethral resection of the prostate or laser ablation. Of the 19 retreated patients, 18 had severe baseline LUTS (IPSS 20 or greater). Sexual function was stable over 5 years with no de novo, sustained erectile or ejaculatory dysfunction. PUL has been demonstrated to be tolerable under local anesthesia in the office setting and to offer rapid recovery and relief typically without the need for postoperative catheters, according to the researchers. 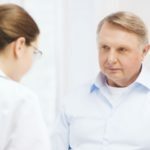 The procedure also has been shown to provide improvements in symptoms, urinary flow, and QOL through 5 years and to uniquely preserve both ejaculatory and erectile function, Dr Roehrborn and colleagues stated. “Because of these characteristics for many men suffering from BPH, PUL may be a preferred treatment choice,” they concluded. Roehrborn CG, Barkin J, Gange SN, et al. Five year results of the prospective randomized controlled prostatic urethral L.I.F.T. study. Can J Urol 2017;24:8802-8813.